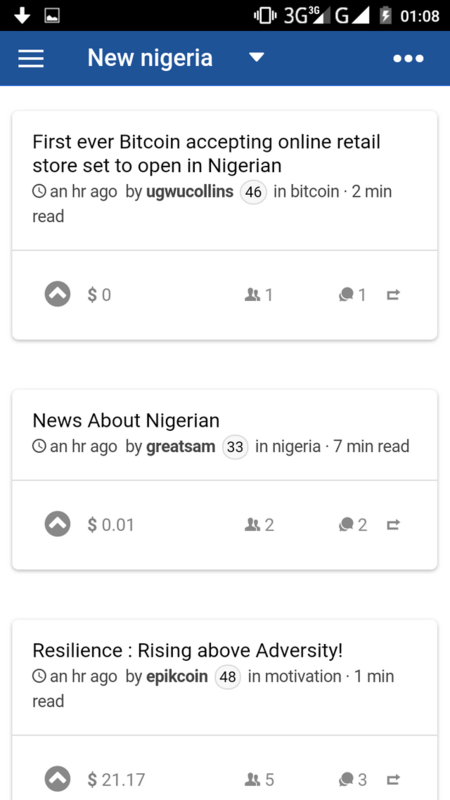 Easy living special edition!,Nigeria and africa : Steemit tools that will make your steemit journey far less stressful. Hello steemians, and hello Nigerians! The Nigerian community is growing at an incredible speed, and with people like @fisteganos @ehiboss @ejemai @gbenga leading the charge to move NG forward on steemit, I felt it necessary to re announce the existence of certain tools that are connected with steemit, and that may prove useful to you using my easy living series! 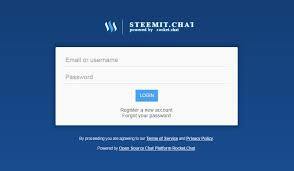 steemit.chat is the brainchild of @firepower @riverhead and @cass, one of the first steemit related sites to come out, its an active bed where you can discuss with other steemians as well as use the post promotion avenue to get some extra votes on your posts. Its also a starting point if you want to relate more with the community. For Nigerians and africans, there is a channel on in there for us africans to interact and become a tightly knit community. Everyone mentioned so far can be found on steemit.chat, if you need help with any advice don't hesitate to buzz. 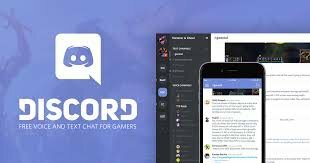 Steemians however, known to be innovative, have converted and now use discord as a form of upgrade to steemit.chat. 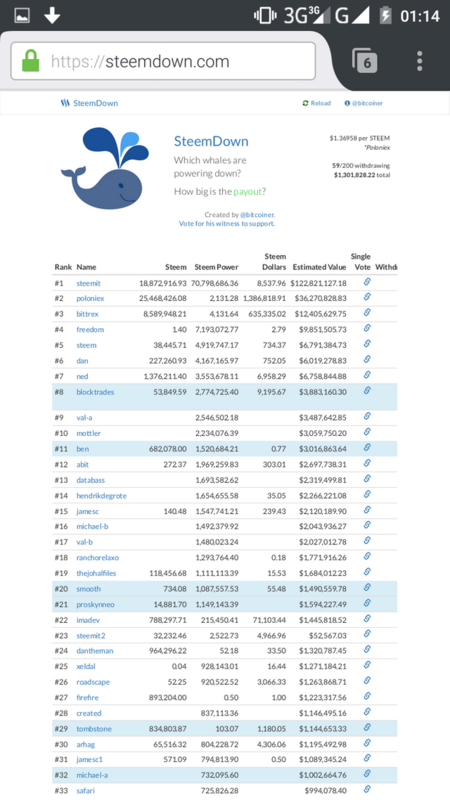 many channels found on steemit.chat can be found on discord. the fact that links to channels are invite only. This means a small group of people can be accepted without the fear of adding up a stranger or otherwise. 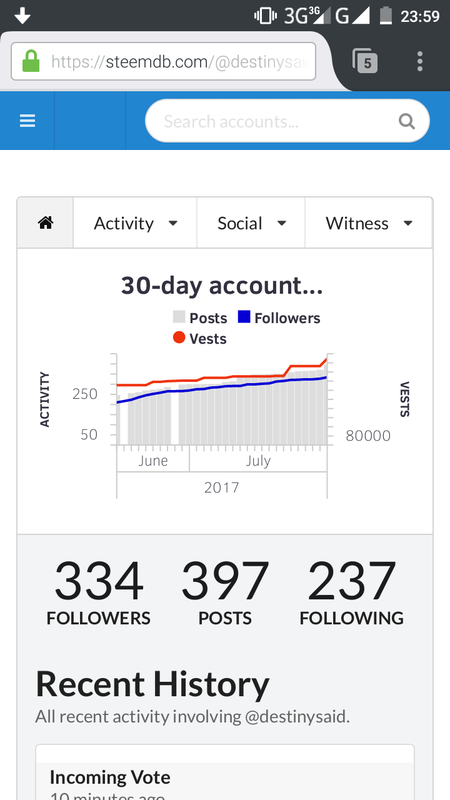 Are all wonderful tools that allow users like you and I to explore the steemit blockchain. Steemdb is obviously newer and more graphic, more pleasing on the eyes, but steemd gives the information in it's raw form. Any information regarding a user can be obtained from these sites. Information such as voting power, number of up votes, reblogs, outgoing and incoming votes, comments etc can be viewed in real time on these sites. This post by @etcmike really explains what steemdb(and by extension steemdb and steemstats) is all about. which shows the ratings of each individuals on the steemit community, network, amount of steem, SBD, SP can be seen in clear view. 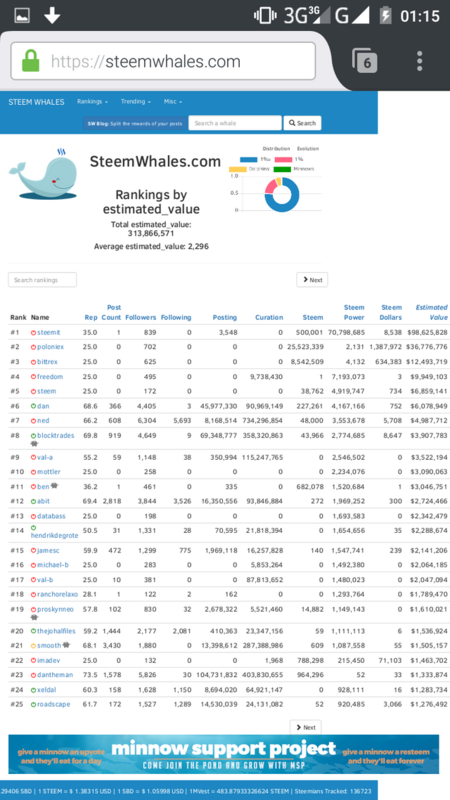 which shows the number of the top 200 whales currently powering down and how much they are withdrawing. The number one app I would recommend getting is the esteem app by @good-karma. I'm currently using it to type this post. It has a lot of features, and it gives notifications not usually seen on the steemit.com site and its a mobile app. You get notifications if you're up voted, followed, unfollowed, reblogged, commented on or downvoted. It also has a great user interface, and multiple accounts can be signed in on it! Its quite useful when the laptop is dead and there is no light to charge, now you can steem straight from your mobile! And the most awesome part is that posts can be written down and scheduled to be posted automatically on a set time. 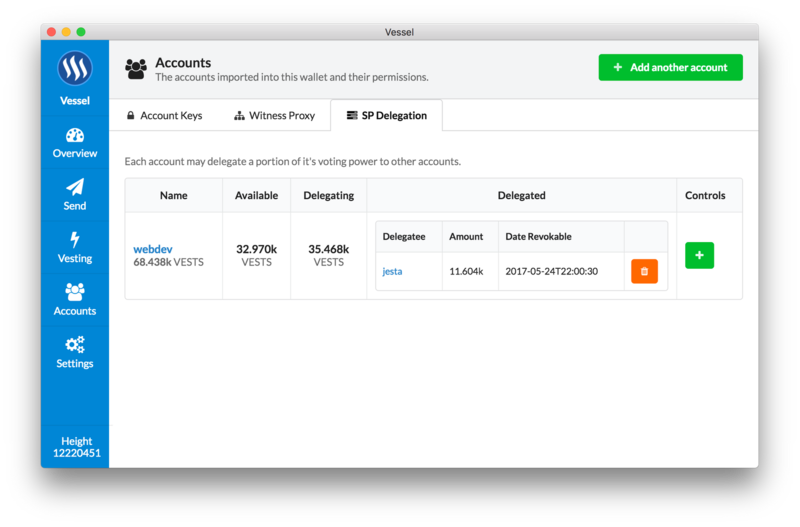 Vessel is another great app that can be downloaded in your laptop. As of the current version, delegation of steem power can now be done directly from the app itself! One thing I've always wanted was some sort of wallet to store my private keys in for Steem. Nearly every other blockchain project I'm interested in has them, so I decided to take a some time and build one. I'm calling it Vessel, which can be a play on words for either "a vessel powered by steam" or "a vessel containing steam". Those are just some of the tools I could remember, but as a new or upcoming steemians, familiarizing and understanding the tools that surround steemit is a step in the right direction to learning how the block chain works, and how the community works. I'm currently hosting a design contest/gig and I'm paying anyone who can come up with a great design concept for me , I've used the promo-uk flyers as a guide , but I need a flyer that is a bit more afro-centric yet has the steemit feel with it. Hello @destinysaid your post have just made the cut in the STEVE TOP5 POST FOR TODAY. KINDLY VISIT AND YOUR COMMENT IS HIGHLY RECOMMENDED. I'm bookmarking this one as an incredibly useful post. Great guide to these resources, especially for newer users. Really nice, all useful resources for easy location by noobs. Didn't even know some of these yet! yay! Good to know I touched someone. Amazing post!! Superb information and really useful for everyone here!! These are all incredibly useful whether you're from Naija or not; thank you so much for this post. The E-Steem app though ... it seems to have a lot of negative reviews on the Android Play Store? Am I looking at the wrong one? its the right one, though youve probable downloaded it, its quite good IMO, its never failed me.